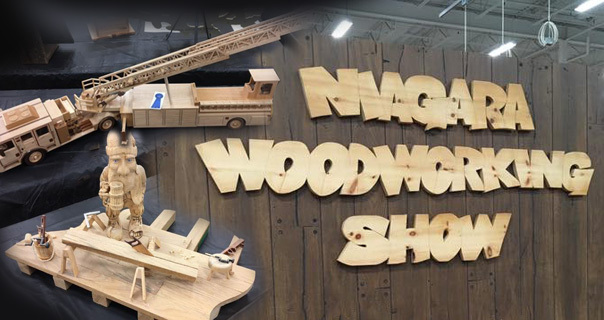 Welcome to the 13th ANNUAL NIAGARA WOODWORKING SHOW, featuring woodworking seminars, competitions, and demonstrations - including a kid's workshop! Time: 10.00 am to 5.00 pm. Everybody who enters will receive a thank you bag full of products and info. You may enter more than one item but will only receive one thank you bag. Prizes are awarded to top three in each class. All non winners will be entered for a prize. Admission to Niagara Woodworking Show is Free.